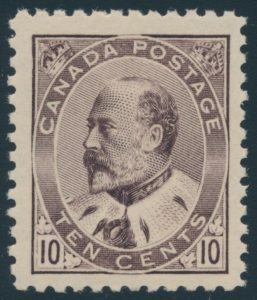 Lot 252 Canada #93 1903 10c brown lilac Edward VII, mint never hinged, with very large margins, bright colour and lovely freshness, extremely fine. 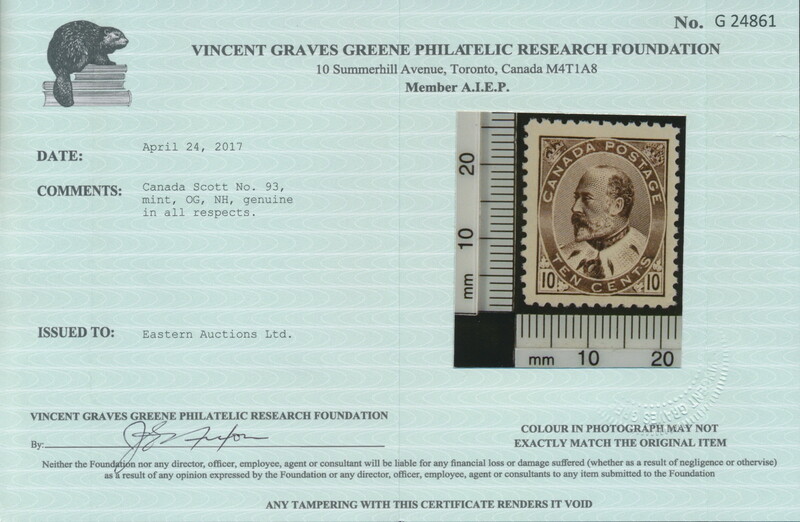 Accompanied by a 2017 Greene Foundation certificate. 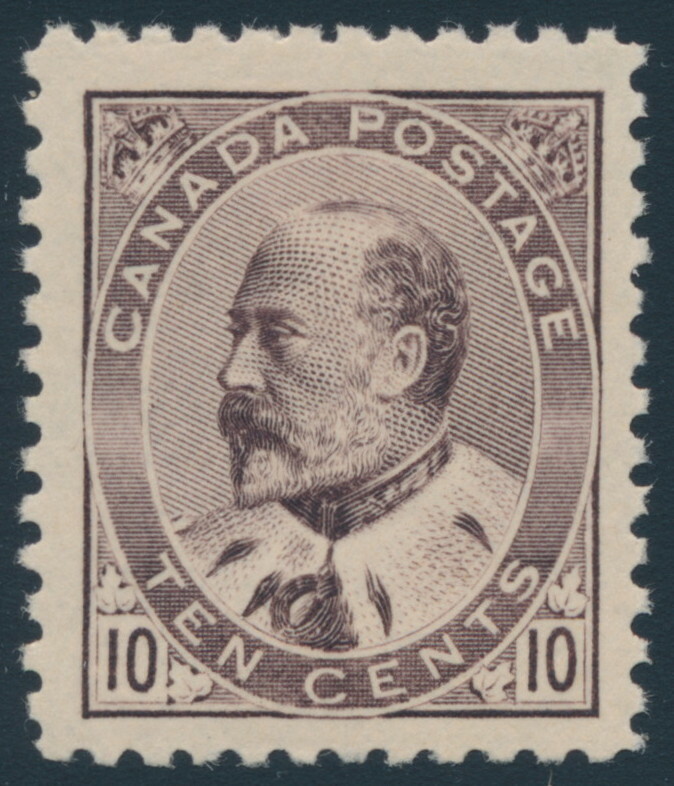 One of the nicest examples we have handled of this stamp. Rsv. Unitrade CV$2,800, sold for C$2,100 plus 15% buyer’s premium.